If you are looking to dramatically rejuvenate your skin prior to your wedding, and willing to endure some discomforts and downtime to do it, then the fraxel laser, a cutting-edge skin care rejuvenation technology might be just right for you! Previously, laser treatments were unsuitable for olive-skinned and dark skinned women as there was the risk of skin pigmentation issues. For instance, hyper-pigmentation or hypo-pigmentation. However, the fraxel laser is relatively safe for Indian women with olive-skin to dark skin. And the results are simply amazing. 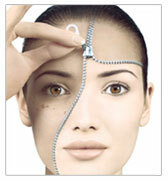 This procedure is non-invasive - means the fraxel laser does not affect the surface of the skin. Fine lines and wrinkles, brown spots (or sun spots) and mild to moderate acne scars can be removed with a few easy treatments. The skin will glow from within, and you will be a radiant bride! This is achieved because the fraxel laser stimulates the growth of new collagen from the inside out - and the collagen is stimulated for over 6 months. 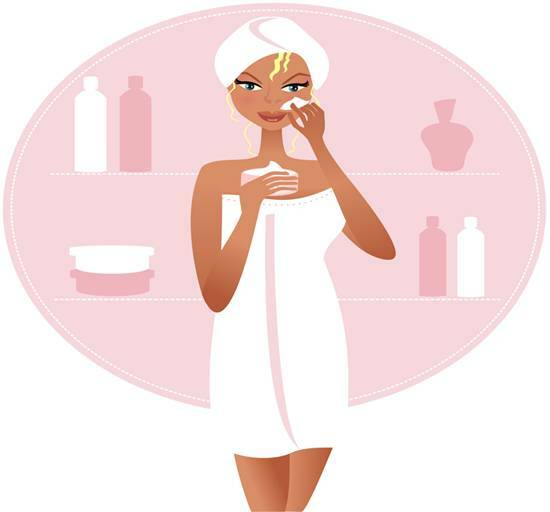 So your skin looks firmer, plumped (instead if sagging) and young! However, the fraxel is not a procedure to embark on a week before your wedding. Plan on starting this at least a year before your wedding. I have moderate acne scarring on my cheeks. I was searching for a procedure to help minimize the appearance of the scars. However, laser treatments was not recommended for my type of skin. I am an Indian with olive skin. I was concerned about pigmentation issues, so I did not consider laser resurfacing. My wedding will be held in the summer next year. I had heard about the fraxel laser treatment for acne scars. And was tempted to try it. I want to look good on my wedding day, so I made an appointment with a dermatologist that several of my Indian friends had visited. The doctor re-assured me that the procedure was safe, and not as risky as other laser treatments. He also has had many Indian patients who had safely used the fraxel. So I tried it, and here is my assessment. They will put a numbing cream on your face for 1 hour or so. This will help minimize the pain. I found the pain quite bad, almost like multiple needles entering the skin at the same time. But for beauty's sake, I endured it. The process itself is about 15-20 minutes. The doctor will pass the laser over the face in one direction. Then he will do a second pass. My face swelled up almost immediately, and I almost regretted my decision to try the fraxel laser. It got very red as well. I noticed that there were tiny "holes" on the face soon after the procedure. But these holes were probably where the laser rays entered the skin, for they disappeared after an hour or so. The face and eye area stayed swollen for 2 days or so. It is essential to stay indoors and away from the sun for at least 4-5 days after this procedure. If you have to go out, use sunblock. I used a sunblock of SPF 70. After day 2, the swelling reduced, and tiny brown scabs formed on the skin. My skin became darker because of these scabs. And the skin started to be itchy. But I was told not to touch the face, and to let it heal naturally. I used a spray mist moisturizer, and the skin was dry. By day 4 and 5, some of the scabs started to flake away. I had some peeling, but not much. By day 7, the face was free of scabs. And looked fairer, and tighter. There was a slight pink hue to the skin. And the pores were smaller. The skin was also less oily. I feel that the skin around my eyes have grown fuller, so I have a young look now. The doctor said this is because collagen has been stimulated, and is growing. I was overall impressed by the results - this is only the first treatment. The doctor recommended 4 treatments for me, and said I should see a 70% improvement in the moderate acne scarring. The next treatment is scheduled 2 months away. This is so the skin can completely heal, and the collagen can grow. I am happy and thankful that I did not have any pigmentation issues with the fraxel laser. Please see a doctor who has worked on patients with Indian skin. Luckily my doctor was experienced and did a good job! I know I will look fantastic for my wedding next year after the 4 fraxel treatments! hi nice article! can you tell me how much did it cost? and any recommendation where this treatment is done cheaply! where did you get it done from? VLCC provides a state-of-the-art Skin Laser Treatment for permanent hair removal, skin rejuvenation and acne for both men and women which are approved by FDA.